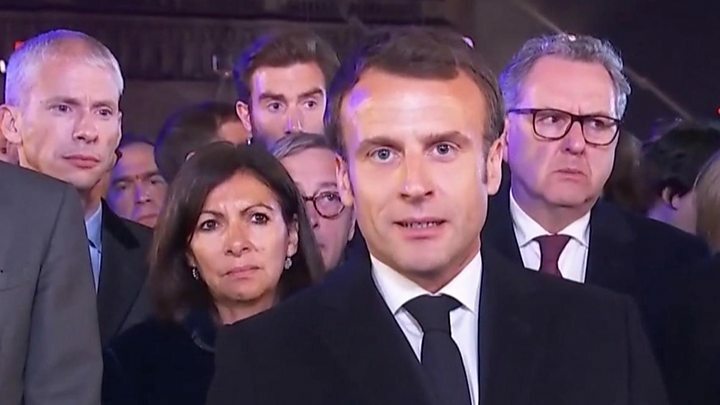 French President Emmanuel Macron vowed to reconstruct the historic building even as the fire still burned, while a number of companies and business tycoons have so far pledged about €600m ($ 677m; £519m) between them. Police stop the crowds getting any closer, as firefighters use a tapering crane to inspect the facade by the cold light of day. The shrill whistles of traffic police cut the air as the sirens of emergency vehicles pass through the hum of the traffic. But every so often, the birdsong reminds you it’s spring in the City of Light. 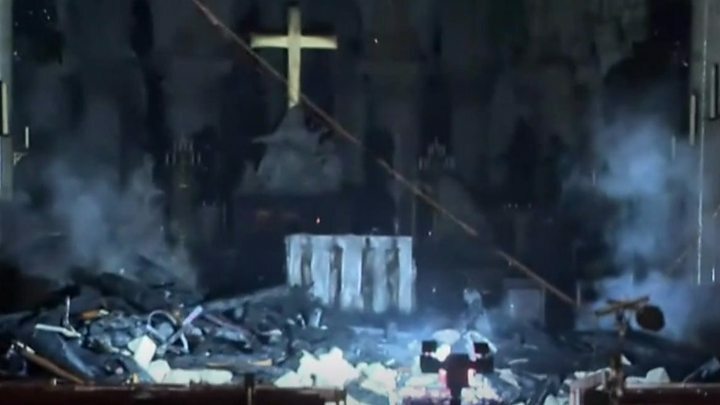 A group of excited Dutch 14-year-olds has come back to see the ruin after the drama of the blaze they witnessed last night, on their first trip to Paris. They have a packed agenda but they are solemn and respectful when they talk about the disaster. It’s a sad moment for Dutch people too, they say. Everyone knows Notre-Dame. Spanish Culture Minister Jose Guirao said his country was also seeking ways to help. “Right now, above all, it’s about moral support, solidarity and from there, whatever they need,” he said.